I keep asking myself why I keep studying Italian. It’s completely impractical. I should be learning Spanish as I live in Texas and teach in a school, which includes English language learners who mainly speak Spanish. Spanish is spoken throughout Latin America. Including Spain and Puerto Rico, it’s the official language in twenty-one countries. Italian is spoken in only one, unless you count San Marino, Vatican City, and parts of Switzerland. Even then there are so many regional dialects. Once in a coffee bar in Florence, I was drinking a cappuccino al banco—at the counter where it’s cheaper– and I told the barista I was studying Italian. She smiled and asked, “Perche?” Why? It’s a good question. I answered, “Perche italiano e molto bello e musicale.” True, but at times I feel compelled to discover the root of this persistent, unachievable goal of mine. Although I’ve never been particularly practical, how can I justify the hours and expense and effort to learn this language? 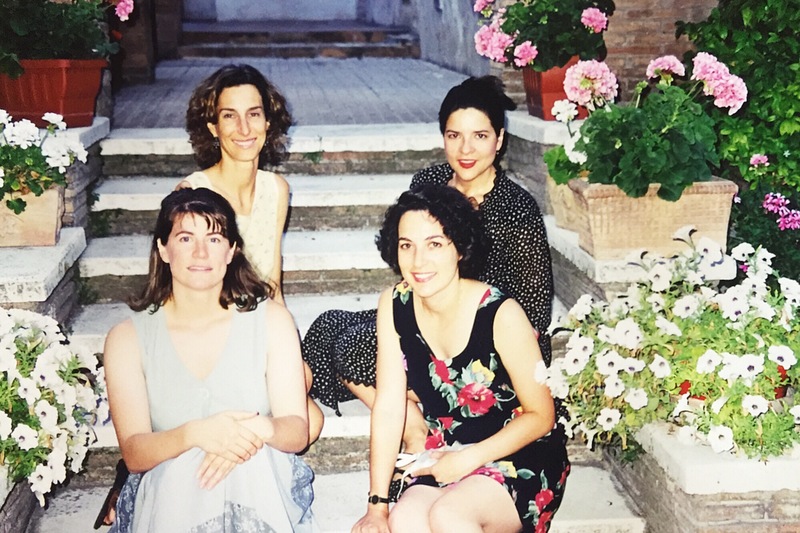 It all began in 1999 when I attended the Spoleto Writers Workshop for two weeks in Spoleto, Umbria. In the afternoons, during the long pausa, or naptime, students could take an additional Italian language course. 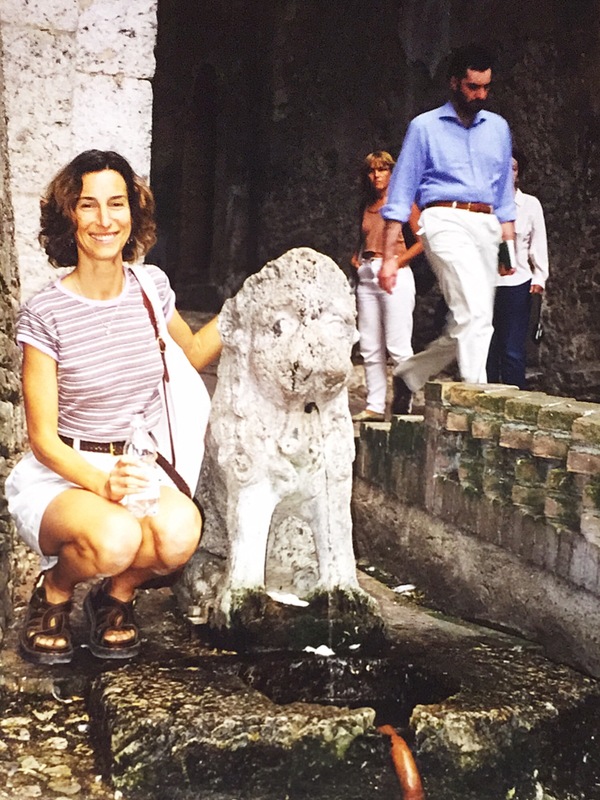 Several of us would regularly walk across the town, filling our bottles with water flowing from the fountains, to end up in an old school classroom to learn Italian. I learned a little bit, and we loved how our teacher encouraged us to speak with more emotion and emphasis. I returned to Texas. The next time I went to Italy, I was able to request a table, make a reservation, order food, and pay for train tickets, thanks to the Italian language CDs I often played in the car. But once I turned fifty, I decided to make a more concerted effort to learn the language, partly as a distraction from encroaching empty nest. Part of my rationale had to do with aging and the gradual evidence that my memory was losing some of its acuity. I was reading The Brain that ChangesItself by Norman Doidge, and the scientific evidence asserts that the two best ways to exercise your brain as you age are to learn a new musical instrument or to learn a new language. (My retired husband is learning the drums). These activities force you to use your brain in new ways, creating new neural pathways. Now I had a scientific rationale for my sentimental, capricious quest. 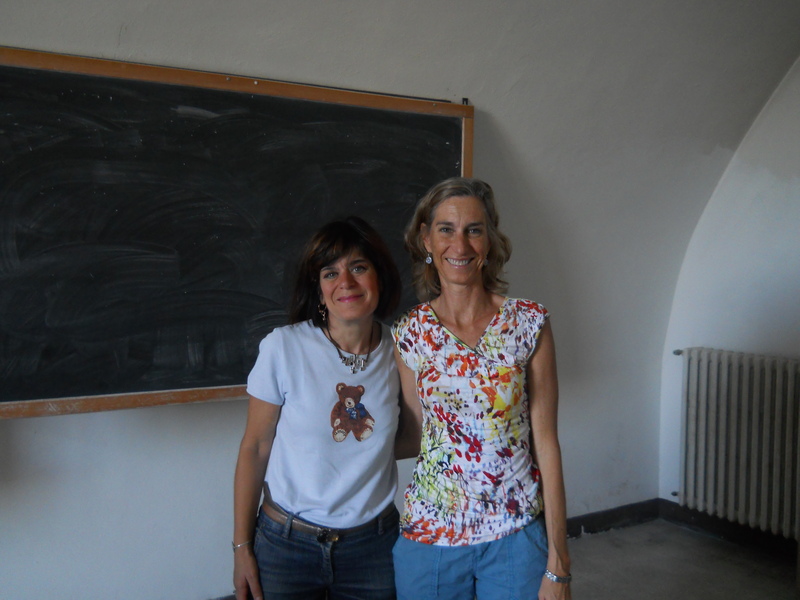 I signed up for a month of Italian classes at the Universita per Stranieri in Perugia, Umbria. I found an apartment and immediately had doubts. Although my fellow students came from around the world, I was among the oldest in the class. Most were college age. It was during this month in 2012 that I gained a new appreciation for speaking English. A Polish priest in my class introduced me to a student from Spain, saying, “Meet Sara. She is a NATIVE English speaker.” In fact, my Italian teacher warned me to stop speaking English during our pause (breaks), but that’s all my two Greek friends, Michaelis and Savas, wanted to do. Michaelis, in particular, spoke English so well that I was sure he had studied in the States as an exchange student. He naturally inserted “likes” into his speech as young people do. No, he’d learned it all by watching American shows on television. Which leads me to my greatest challenge in trying to learn Italian: brain age. Michaelis had a young brain, and I do not. 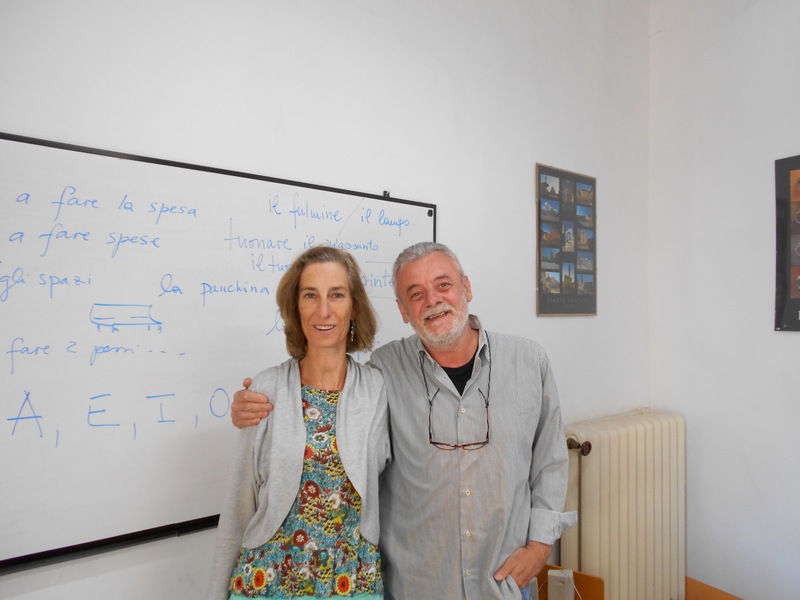 Now I’m fifty-seven, and although I’ve continued to take Italian classes sporadically at the Freestyle Language Center here in Austin, I keep forgetting what I learn. Although never fluent in Spanish, when I try to think of a word in Italian, the Spanish word pops into my head and blocks the Italian one from replacing it. It’s so frustrating. It’s as if my hard drive filled up early on. Still, I persist. 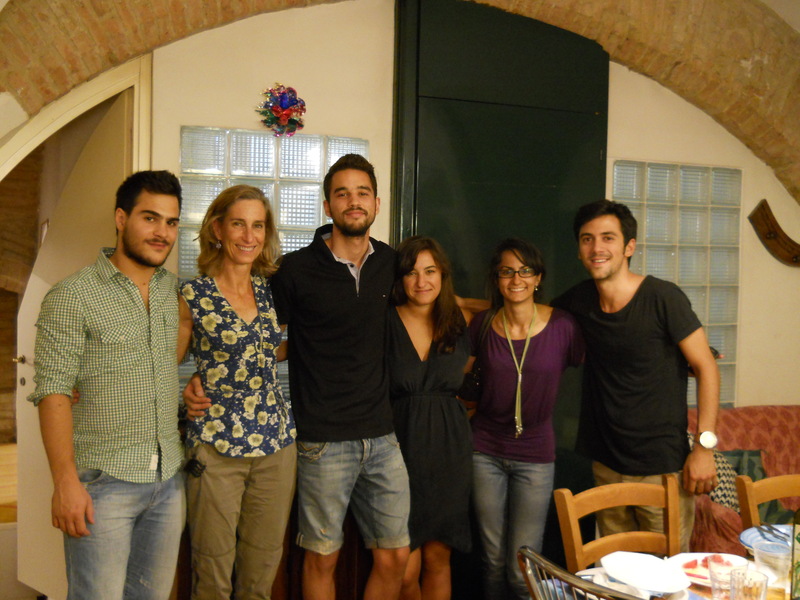 This summer I am studying for a month at a language school in Montepulciano, Tuscany: Il Sasso. I took classes there once before, but only for one week. This time, surely, for four weeks with classes five hours a day, five days a week, I will learn Italian. 2 Responses to Why Study Italian? Thank you for posting this–it really hits home for me, and I think you have really put into perspective what it is to learn a new language at a more mature age. This is also very helpful to me now, as we go forward and learn ANOTHER language–I am frankly terrified! If anything, your hard work in studying Italian will serve you as you embark on learning German. And you’ll be in immersion-mode, which is the best way possible!